According to Singapore statistics, the male group dominates the working population of the country. With the Singapore’s rising economy, employees under the different sectors are likewise expected to keep up and increase their productivity. Even if your husband is fully capable of preparing what he will be wearing for the day, he will very much appreciate it if you will do this for him. Before the first day of work, make sure you have ironed out his set of clothes for the entire week. While he is in the shower, lay down his clothes on the bed – from his corporate attire down to his pair of socks and handkerchief. This easy yet sweet task will just take a fraction of your time but will save him the hassle of looking for the pair of his socks in the drawer. This is time-efficient and is definitely a good way to start the day for the both of you! 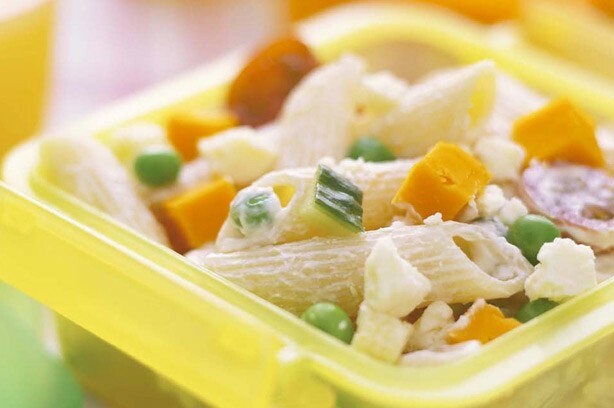 If you are used to waking up really early to prepare breakfast for the family, then you can strategize meal preparations to include packed lunches. This can be implemented by planning ahead your menu for breakfast and lunch. This way, you can maximize your ingredients and cooking time in the morning. Use your creativity in making healthy sandwiches or pasta or whatever lunch you feel like preparing. A small serving of dessert is also a good idea. Your husband will never have to skip lunch again even if he is glued to his computer the whole day. The healthy lunch will also boost his immune system and will give him another reason to tell his officemates how thoughtful his wife is! Before your husband arrives home from work, it will be best if you prepare the clothes that he will be sleeping in. Sparing him the trouble of pulling out his fresh shirt and boxers from the closet will make him feel relieved in more ways than you can imagine. This act will definitely make him feel that you have done such big effort on this one -even if in reality you didn’t even break a sweat. Having his change of clothes waiting for him in the bedroom will send him a message that says you look forward to seeing him at home – the way he looks forward to coming home to you too! Men, in general, like to eat at any given time – even after a heavy dinner. That bottomless pit of stomach is easy to satisfy though. Just make sure there is a stock of his favorite nachos or favorite root beer in the fridge. Offer to bring him snacks. De-stressing in the form of watching television shows or playing video games with the kids while having his favorite snacks is indeed a fun way to make the stresses of the day go away! After a day’s work, a good sleep is most needed by the mind and the body. Be particular about the details of your bedroom. Keep it neat with a relaxing ambiance. More importantly, the place must be conducive to a good night’s rest. Fill the room with soothing scent and soft music. Make sure the bedsheets and blankets are washed and cleaned regularly. Preparing the best conditions for your husband will definitely give him his well-deserved sleep. As an added bonus, you can give him a back rub and foot massage to help him sleep better. Having a husband whose priority is to put food on the table and put clothes on each member of the family is a blessing. The husband who puts the future of the family first by painstakingly performing his job is a wonderful man. Always remember that there are little preparations that you can do at home to reciprocate the love!